OH NO!!! The artists seem to have gone on vacation today. All of them.... in one day. Where could they have gone? 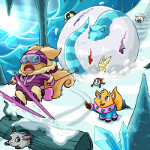 In any case, it looks like the rest of The Neopets Team will have to fill in! Erm... sorry in advance. If you've always wanted How NOT to Draw a Petpet Rock, today is your lucky day. __Scyther the Mutant Ruki is the lucky winner of the lastest Pet Spotlight award! If you have used up all of your motes, maybe you should drop by the Brightvale Motery and pick up a few more. The newest issue of the Neopian Times has been released! Keep your eyes open for great stories and adventures like The 10 Scariest Chairs in Neopia and A Change of Heart. This week's Neoadventure Spotlight goes to flypups for Spacing Out or The Wayard Pickle Lord. Four new flavours of jelly have started appearing around Neopia. Lint Jelly, Smelly Jelly, Peanut Butter Jelly, and Squished Jelly! The Random Contest is continuing on for another week! Good luck to all the entrants. If you are tired of that old Background, maybe you should try something new for your desktop. hamstar_6 is the lucky winner of this week's Faerie Caves Spotlight award! If you have been looking for the perfect Petpet and haven't found it yet, this may be your lucky day at Ye Olde Petpets. There is a new page of Poems for you to read, if you're so inclined. Four tasty new fruits are now on sale in the Brightvale Fruits shop. There is a new Mystery Pic competition. The answer to the last one was The Adventures of Dinki Neopedia. 333 people guessed correctly, earning them 6,007 NP each. Are you looking for that new tank that will make everyone jealous? Maybe it is time to see what is available at Unis Clothing. turn4girlbecky has just won the Neohome Spotlight award for her Neohome - The Paradisiacal Pet Palace. A new set of Buddy Icons are available if you are looking for a change in your chat window. Congratulations go out to Psilly the Psimouse and owners snapleberry and __Kor__Kor__ for winning the lastest Petpet Spotlight. Erm... maybe having your Petpet find a Petpetpet isn't such a good thing after all, as the latest Caption Contest shows. The Art Gallery has been updated with a new page of art! What better way to celebrate a day dedicated to kites than to buy your very own from the Toy Shop! 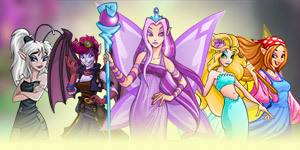 Congratulations to evil_is_spreading and ZuuBatt for winning the Site Spotlight award with their tribute to Musicians of Neopia. This week's PPL award has been given to the Popblew. Well done Pop-eyed, Tumbles, Wedgie, Eyebrows, and all the others. Quinton is the latest challenger to beat in this week's Better Than You competition. If you don't know much about kites you might want to study up with some of the new books offered at the Book Shop. A new kite Background is now available if you're looking for a look for your desktop. The Lenny Conundrum is still open for another week! Can you figure it out? Everyone will know how much you love summer and flying kites with these great new Fun Images! sunpluto wins the latest Pirate Cave Of The Week with his level - Realm of Leftovers. Mmmmmm... your stomach will thank you for these new treats found at the Bakery. Alabriss rejoice! You can now be painted three new colours at the Petpet Puddle! Well done stinky159. You have won the latest User Lookup of the Week award. If you've had trouble picking a conversation starter, there are a few new default subjects for your Neomails. After a long wait, the Nimmo now has a Sketch Background! Congratulations to thedevilsarithmatic! Their gallery - Janitor's Closet - has just won this week's Gallery Spotlight award. There is a new Mystery Pic competition. The answer to the last one was Petpet Lab Ray avatar -- oops. 394 people guessed correctly, earning them 5077 NP each. You may not want to recieve one of these new Greetings... but sending them might be fun! This week's Meridell Castle Spotlight winner is monkeyhead8 with their level - One Way or Another. Lastly, the Art Gallery has lots of new pictures for you to view. The Magic Shop is now offering some new morphing potions for the Moehog! There are new Poems now available for you to read. Sidney is waiting for you to learn How to Draw him. Today's Site Spotlight award is shared by jennuine_1 and Funkenstein for their web page - The Crypt. The Shocket can now be painted a variety of new colours at the Petpet Puddle! This week's Minigolf Spotlight award has been given to mastertrainer203 for their level - Transport Traps. A new Story Telling competition has just begun. read the new story and join in! With a sigh, the Lutari set down her cup and stared at her paws. "I've been having dreams - strange, recurring dreams. I am always in a field - a never-ending field with an unreachable horizon - running and running. If your pets are feeling hungry they might want to try one of the new pizzas available at Pizzaroo! 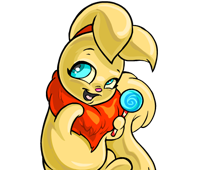 Neopets Premium is now accepting a limited number of additional beta testers! If you're interested, you can click here for more info. Spots will go fast (and may already be gone) so best be quick! The first Pet Spotlight of the week has been awarded to a Yurble called Lullahbi. Drop by the Book Shop if you have been dying for some new books about Altador.